Welcome to the Anatomikal Art gallery. The idea is simply to illustrate the human form, movement, and anatomy so YOU, the movement enthusiast, can give them life. Use the images in this online gallery to help, teach, and inspire others to move, explore different postures, and even meditate. 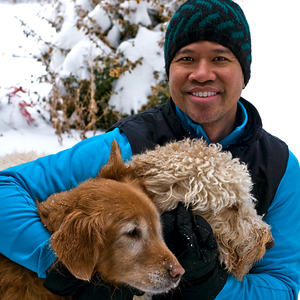 My name is Glenn Divinagracia, I'm a physical therapist with a curious mind for movement and illustration. I developed Anatomikal Art to scratch an itch of illustrating ideas and concepts to help visualize movement. I'm a visual learner. And many of us are. Through the years, I have realized that people respond well to learning new skills when they are complemented with simple and clear visual aids. Creating images is something I've enjoyed since the years of art classes during elementary school. I use the images myself for thoughts, presentation, or to just print out or send a digital image of an exercise to someone. The Phase 3 concept is an idea generator for movement and exercise variety or progressions. I personally use this when I'm getting stuck with the same old routines or if I find myself lacking in creativity, especially in the real world. The Phase 3 and Phase 9 is a form of matrix system. This matrix idea was inspired from a manga art book, MangaMatrix (written by Hiroyoshi Tsukamoto) for creating unique characters using a grid system. Instead of creating characters, you can use the the rows or carousels like a grid to spark your creativity and create your unique movement ideas. The progression and variety of movement were also inspired by the movement guru, Ido Portal, who talked about a Zone system of learning and mastering movement. As much as I like using the illustrations myself, having my colleagues in the clinic, therapists and movement aficionados from across globe, use the illustrations to present or work on projects, is what I am truly grateful for. Go. Explore the gallery. Click and Start here with the Phase 3 idea generator - It's free! Just spend a little time with it. Think of it as fire starter - the real fire and creativity is in you. Better yet, install it on your mobile device to keep it handy. Here's the link: Install App. Visit the Store to buy and download images. For questions, ideas, requests, or just to say hello or tell us what you are working on, just click here for a Contact page. I am always glad to connect with other people movers.